Here are the 'Essential Travel Tips' You Need!! 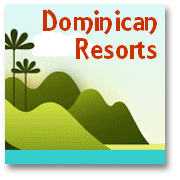 Whether or not you ultimately choose a Dominican Republic vacation, here are some things worth considering to ensure a happy holiday is had by all, wherever you go. If you like traveling as much as we do, then by now you know how important it is to take some common sense measures before that special trip. Therefore we invite you to read our checklist of 'essential travel tips' to ensure you've thought of everything before you leave on your vacation! 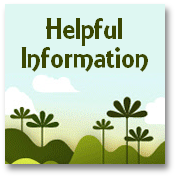 Our main aim here is to provide useful information that will help you to get THE MOST out of your hard earned break. Although we are keen to tell you all the good things about our country we are realists. In many ways The Dominican Republic is as near as you can get to a 'Caribbean paradise'…but no matter how perfect we'd like to hope you find it…you can always run into 'trouble in paradise' if you don't take some sensible precautions. 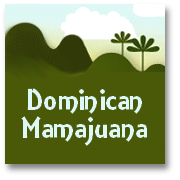 So the list we provide here aims to help you avoid any problems that you might encounter on your Dominican Republic vacation…or indeed on any vacation you take in the future. Some of these things SHOULD be obvious but it never harms to have a useful checklist to make sure you haven't overlooked something, does it? Check your passport! OK so you say you could never forget it...well, as many people have found, that's not until you do! Check it is signed and don't forget to fill in the emergency information page (If you are saying to yourself 'what page?' then take a look now, you probably haven't). Advice about 'Passport Websites' for US travelers Also, if you are on a Dominican Republic vacation from the UK and have forgotten to arrange a tourist card befor you travel to the DR, you'll be glad to know you can buy one on arrival for a small fee (at March '05 - it cost about £6.00/$10.00)! (Note: If you have had to obtain a visa stamp for your trip you should get a copy showing the stamp too if possible). Wherever you go, make sure you find out what you can about local laws and customs.Never assume that things are just the same as at 'home'. Make sure you have told family and friends where you are going, and how to contact you! Ok we know you're going on vacation to 'get away from all that'… but EVERY YEAR hundreds of people around the globe are away on vacation when something happens at home and relatives have no way of contacting them. And last but not least,find out all you can about MALARIA BEFORE your trip! 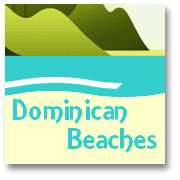 This deadly disease is NOT really a major problem in the DR, although an outbreak in the major tourism center of the East Coast in 2004 did result in a number of infected individuals. You should make sure you are informed about the malaria risk though, and a good place to start with is our Malaria page. 'Embassies and others essential contacts! Air travel tips for a stress free journey. Tips for avoiding insects bites and malaria! 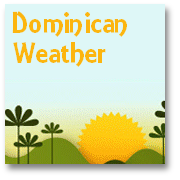 We really hope these 'Essential tips' pages will help to ensure that whether it is a Dominican Republic vacation you decide on, or even if you choose to go somewhere else, you have a really wonderful time!